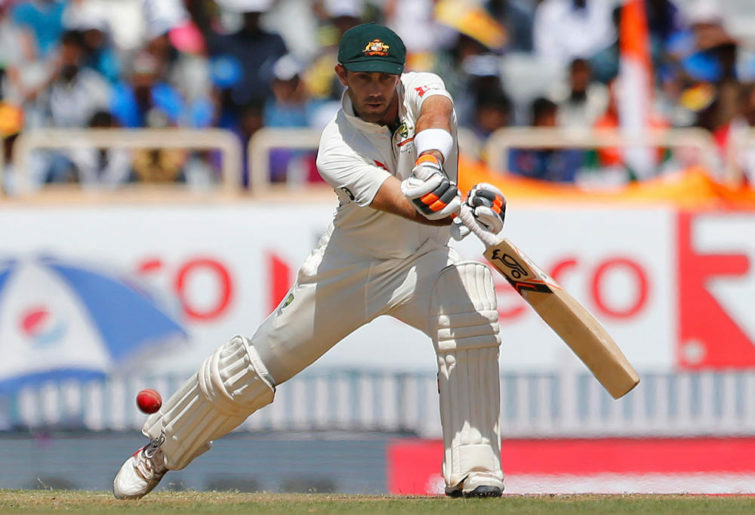 Is Glenn Maxwell the Big Show or a no-show? No one can question Glenn Maxwell’s prodigious cricket talent since he came onto the ODI scene back in 2012. He can hit the ball to all parts, is a dynamic fieldsman and his batting strike rate is among the best in this form of the game. He’s known as the Big Show, but is this really the case? Maxwell’s performances in the series which finished in Melbourne must be considered disappointing, considering the opportunities he had to really make a mark on the series. Many were complaining he was batting too low at seven and after the first game, which Australia won, the calls were out for him to move up the order when he was left to face five balls for 11 runs. He was then given two golden opportunities to bat through to the innings end in both the second and third games and blew both chances. In the second game he batted from the 37th to the 47th over and when he was really needed in Game 3, only batted from the 30th to the 35th over. Throw in a dropped catch that stemmed from a complete lack of concentration and it’s hard to find a player who had a more adverse effect on the series outcome. Maxwell has copped a raw deal, many would argue, which has affected his cricket, but if you look at his stats for the past 14 games when he’s played, he probably has no-one to blame but himself. His innings totals are 20, 39, 14, 5, 34, 62, 31, 19, 11, 15, 35, 11, 48 and 26. One fifty in that time is an extremely poor return for a guy with this much ability. There were no doubt occasions when he had no time to get in and make runs, but as the last two ODIs showed, when he has had the chances they’ve been squandered. He’s also bowled the odd over during these 14 games and has been underwhelming in that department as well; 25 overs one for 159 at 6.36 per over, so he’s neither economical or penetrative in his limited opportunities. When his efforts are combined, they make for sad reading, especially when Australia has only won two of these 14 games. Selectors need to decide whether to keep an underperforming player in the team and if so, what do they do with him? He does not seem to have the temperament to close out games as guys like Steve Waugh and Michael Bevan could do, batting as close to the end on the innings as possible, so if he stays in the side where should he bat? Opening or number four would probably suit his method, which is to get runs rapidly, hence his strike rate. It also doesn’t matter whether he’s out cheaply because he’ll also be out quickly, meaning the rest of the side can pick up the pieces. The question is, can Australia afford a high-risk approach like this when it’s flat out winning games? I think Maxwell’s had his turn and been found consistently wanting. He seems very much like Shaun Marsh – great talent which occasionally shines, but more often than not fails to help the team win games. Both have had their time, SM in Tests and Maxwell in ODIs. Maxwell will be 31 this year and should probably focus on the T20 circuits where his strike rate and ridiculous shot making really do make him a Big Show.